The company is currently helping customers save up to 22 percent on everything they need to secure their online brand, reports www.tomsseolink.com. Santa Rosa Beach, FL - August 19, 2018 /MarketersMedia/ — Toms SEO Link is pleased to announce they are now offering deep discounts on their premium seo tools and services. The premier search engine optimization services provider is currently helping customers save up to 22 percent on their seo tools as well as premium services like website audits, content writing, authority backlinks, brand management, and more. "Simply put, online marketing is tough. In an arena where millions of site and business owners are trying to compete for the same keywords, links, and positions on the same search engines and websites, it can be difficult for them to gain traffic and visibility. We see so many people give up because they can't figure it out, thinking they'll have to spend too much money on an expert who can help them achieve their goals. Fortunately, we're making sure that webmasters and business owners can afford the help they need to climb the search engine rankings, reach their target audience, and boost their bottom line," said Anthony Tennis of Toms SEO Link. Toms SEO Link helps their clients secure their online brand, walking them through all of the necessary processes and procedures to ensure the longevity of their social and web presence in the fast-moving digital age. This is a 100 percent done-for-you service covering all major social media profiles like Facebook and Twitter as well as 300 other prominent platforms. All clients have to do to take advantage of it is fill out a simple form with basic information about their business, mission, values, and goals when it comes to showcasing their brand online. Once the Toms SEO Link team receives this information, they'll take care of the all the hard work with their proprietary three-step process. First, business and website owners will provide their SEO experts with their desired brand name and select from one of four packages covering 50 to 300 registered profiles. Since online and social media branding is about consistency, Toms SEO Link can completely customize all of the business' registered profiles to ensure they are the same across platforms and in line with the client's mission and values. Then, their highly-trained and ultra-skilled team will immediately get to work securing the brand name on all relevant social media platforms and websites. When they're all finished, they'll be sure to deliver you a complete and detailed report that outlines all online registrations completed along with all applicable usernames and passwords. After their brand is secure, clients can then turn their attention to other aspects of their online presence. As a premier seo management services provider, Toms SEO Link is offering customers a 22 percent discount on a wide array of options to help push them to the top spot. With every managed SEO plan custom fit to each client's needs, these service options include site audits and on-page optimization, link building, content writing, local citation cleanup and even detailed analytics tracking. Toms SEO Link is also offering the discount on their premium SEO tools such as the keyword tool, rank checker, SEO auditor, backlink checker, competitor research tool and more, which help businesses and agencies automate their marketing without breaking the bank. Tennis went on to say, "Every successful SEO campaign includes multiple elements to ensure the client's success. Our team has worked hard to craft the perfect formula to help business owners secure their brand and get their sites to the top of the search engines, positioning them as an authority source in their audience's eyes. With our help, website and business owners can finally stop worrying about traffic and rankings and have some peace of mind about the future of their business." 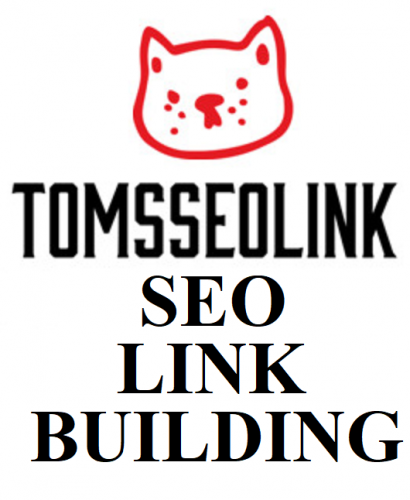 Visit tomsseolink.com to learn more about Toms SEO Link's managed services and take advantage of their current discounts and offers. Toms SEO Link is a full-service search engine optimization agency providing services from the source. On a mission to give their clients a real opportunity at getting steady traffic from the major search engine, the agency offers managed SEO and content writing services. Their SEO services and packages include enterprise-quality blog articles and press releases, powerful backlinks, sales video production, cleanup citation, web page optimization, brand protection and management, and more.